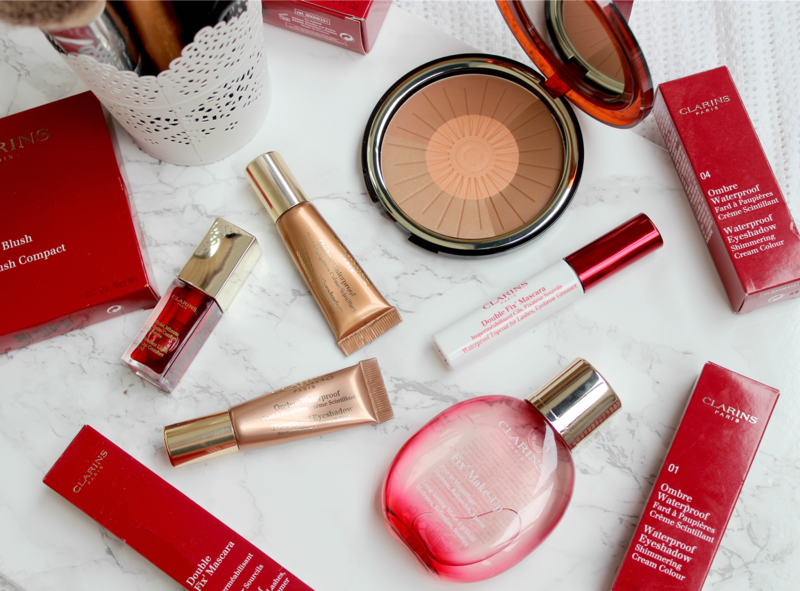 I'm a big fan of Clarins as a brand - their skincare range is one of my favourites, as is their makeup. 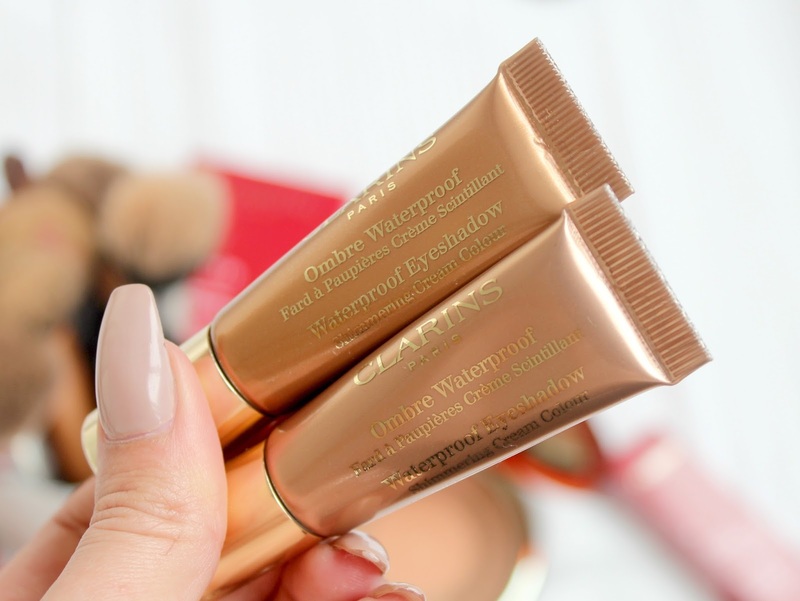 I often find Clarins is overlooked when it comes to beauty as it's most well known as a skincare brand compared to the likes of YSL who are mainly known for their makeup range - if you see what I'm saying? Basically what I'm trying to say is that Clarins makeup range needs more love as it's bloody fabulous! Their new Summer collection landed at my door a couple of weeks ago and I can't wait to share it with you all as there's some real gems in there that are going to be staples in my makeup bag this Summer. As you can see from the photos, everything is packaged beautifully and whenever I use Clarins makeup - I feel all sophisticated! The new collection consists of six products - a bronzer / blush, ombré eyeshadows, a makeup setting spray, a mascara top coat and a new shade in the lip comfort oil which was released last year and has proven to be really popular! 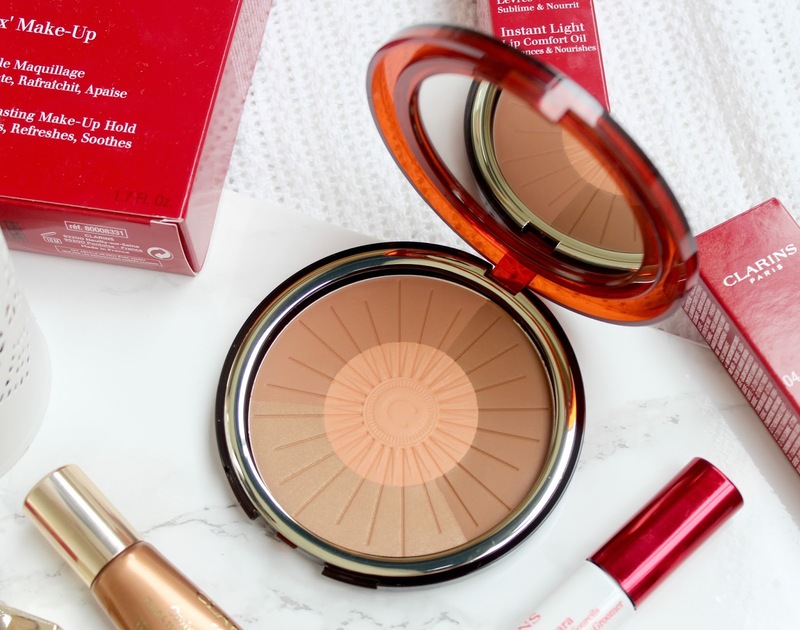 The first thing I have to mention is the bronzer as Clarins release a new one every Summer and they're always beautiful, not to mention huge! I particularly love this one as it has a mixture of four colours that can be used on their own or swirled together. I tend to use all of the shades together and dust it all over my face with a fluffy brush to warm up my complexion. As one of the shades is slightly shimmery, I find it adds a nice glow to the skin without looking glittery. Next up are the ombré eyeshadows and I was so excited to give these a try as the shades I was kindly sent are right up my street. I'm always intrigued by an eyeshadow that doesn't have a powder formula too - it's something a bit different and fun. These are basically a creamy eyeshadow and I'm totally in love with how pigmented they are and their beautiful metallic finish. I'm always trying to achieve that strong metallic look with powder shadows but I do find it quite difficult unless I layer it but these shadows achieve that look with only the tiniest bit of product. The only downside to them is that they are quite dry so they can settle into creases. However, paired with a good primer, I can't see that being too much of an issue. 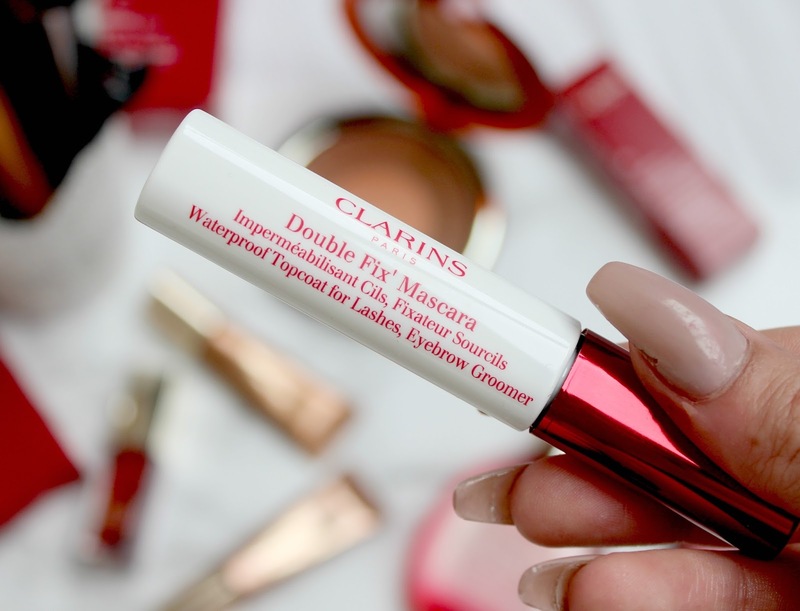 Another eye product that has launched with this collection is the Double Fix mascara. Now I've never heard of this product before but apparently it's been around for a while and this is the new and improved formula. It's a multi-use product that can be used on both the lashes and eyebrows. It has a clear formula and is enriched with bitter orange tree wax which works as a barrier on the lashes so you can make any of your favourite mascaras waterproof and it also doubles up as a brow tamer to ensure they stay in place all day. I personally wouldn't spend £20 on this product as I don't feel it does much of make all that much of a difference to my makeup but that's just my opinion, I'm sure many people would find this a very handy product to have in their makeup bags! Next up we have the fix makeup spray and again, this isn't a must-have for me. I feel these kind of products are nice to have as a luxury but I don't find they do enough to warrant their price tag. This spray is designed to set makeup in place and whilst it feels refreshing on the skin and helps with dewiness, I unfortunately haven't noticed a difference in the longevity of my makeup after using this product. I think it will be a great product to have to hand in the Summer months when I was to refresh my face but I do feel there's lots of cheaper alternatives that do the job just as well (the Avene Eau Thermal Spring water spray is a personal favourite of mine). Finally we have the lip comfort oil which is the only product in the collection that I'd already tried. 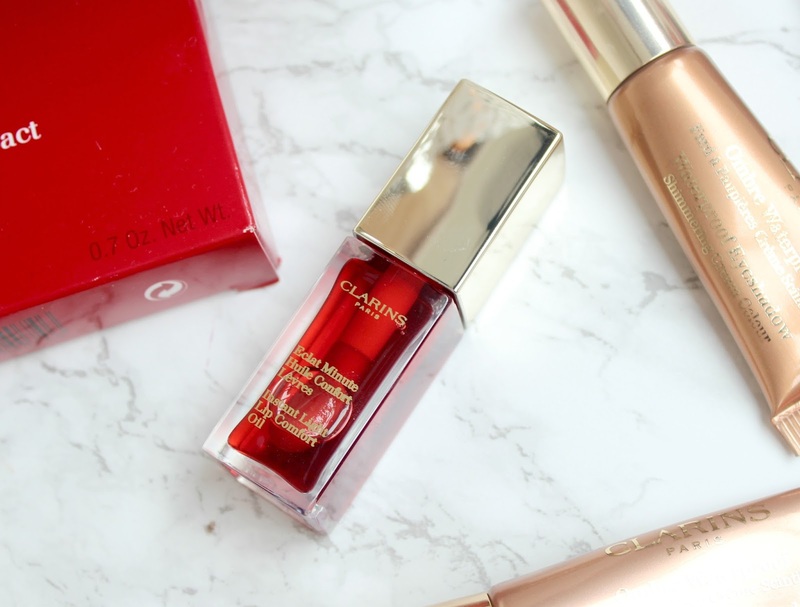 Clarins released their original lip comfort oil last year and I was really impressed with it - a clear oil that nourishes the lips but doesn't feel sticky. It's a great item to have on my bedside table and I thoroughly enjoyed using it throughout the winter months when my lips were a little on the chapped side. Clarins have obviously noted how popular it was and have now released a selection of new shades including this one which is called Red Berry. At first I thought 'a berry shade in a Summer collection' but since trying it, I can see why Clarins chose this to be one of their shades as it's the perfect 'my lips but better' kind of shade. that enhances the natural lip colour and adds a beautiful glossy shine. There's a few winners in this collection for me - the bronzer, eyeshadows and lip oil are all products I'd recommend you try! However, the double fix mascara and fix makeup spray are products that I could take or leave so I guess it's totally down to personal preference and what you're looking for in a product. 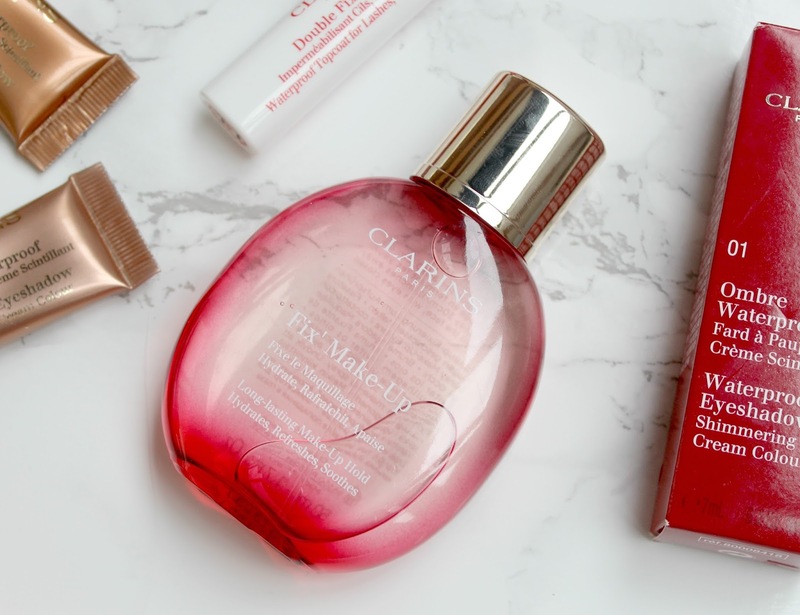 Either way, Clarins products are always such beautiful quality and this collection is no different so if you haven't checked out their range yet, head to your local counter for a little look. Do you like the look of this collection?! 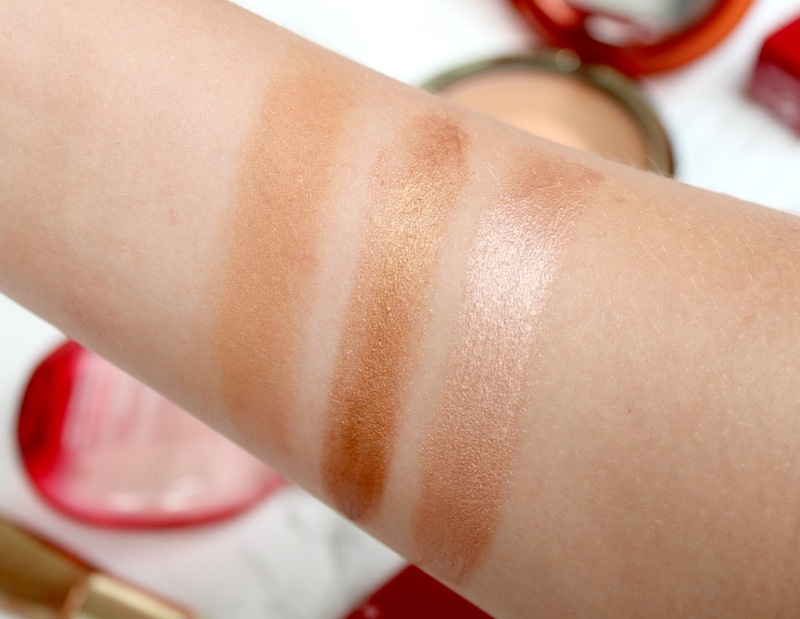 These are such gorgeous products - i'd love to try the bronzer, its perfect for summer! Clarins bronzers are just always so, so stunning! These products look gorgeous, I really want to try the lip comfort oil! The lip oil sound really good, I'd love to give it a try!